In this blog we’ll be telling you about our beloved strength training today. We hope that some of you get inspired and start directly after reading this a training session, because a good training has so many benefits. We need to stay fit for several events in the next months and the upcoming world championship in august. You can imagine that jogging is not enough to stay strong and healthy. That is why strength training is a part of our training for years now. We use it to support our bones and of course to build up muscles. A proper workout can help everybody in their daily life. Imagine you need to carry a big bag full of water. Believe me: it will become easier after every session you did. This is exactly the strength we need when we are performing our shows and doing acrobatics on stage. Furthermore we improve our sense of team spirit with that. After the european championship we changed our strength training completely. To keep it exciting and to have lots of variety we do different exercises each session. We nearly do everything: Burpees, sit-ups, push-ups and so on. Moreover we love rotating in a circle so everybody can do each exercise several times. Most of the time we only use our body weight to become stronger. To make it more effective we use devices everyone can find at home like a bottle of water. Sometimes it can be very hard to stop watching TV at Sundays for the gym. Some of you may have recognized that it is always easier to practice with a friend, colleague or your brothers and sisters. For example you can motivate each other during the push-ups by claps you give to each other or just by smiling at each other. Besides you will build trust to your partner or in our case trust in our team. 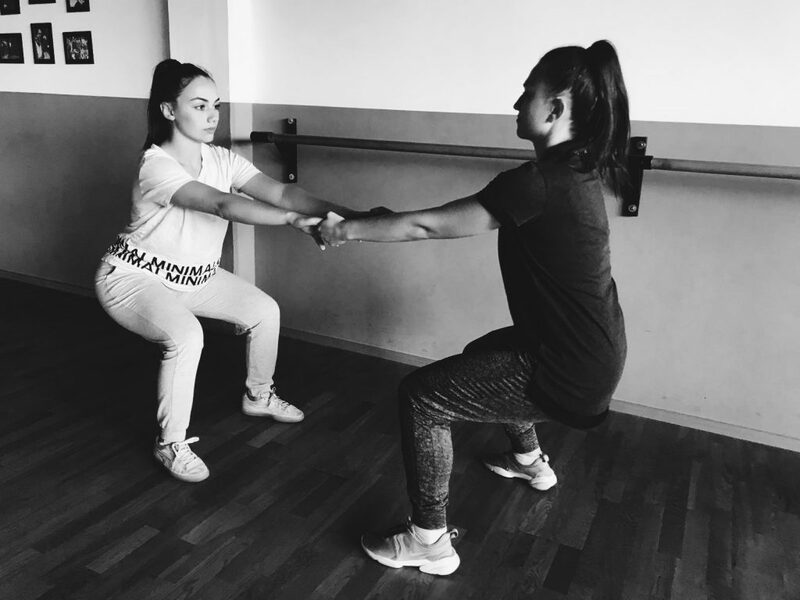 In our team we need to be able to rely on each other: not only during the strength training, also on stage! Glasgow 2018 we’ll be readyyy! There are only a few weeks left until we will hear the words “next group coming to the stage: Make some noise for Royal A.C.I.M.” again – and we’ll be ready. We hope you enjoyed our blog und maybe start directly with some exercises. For more motivation check our daily stories on Instagram!